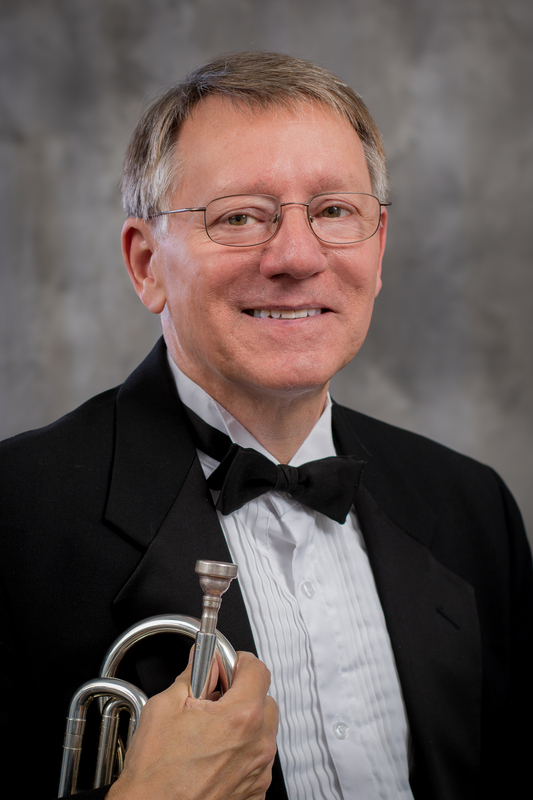 Stephen G. Jones has performed and recorded with the Western Brass Quintet and enjoys playing as “extra trumpet” with several major symphonies, he has held positions with the Wichita Brass Quintet, Wichita Symphony, and Kalamazoo Symphony. He has appeared as soloist with the American Wind Symphony, Kalamazoo Symphony, and Santa Fe Chamber Symphony. Performances abroad include concerts in Sweden, Switzerland, Germany, The Netherlands, Great Britain, Russia, Korea, and People’s Republic of China. His playing can be heard on the CRI, CRS, ASUC, MARK, CAPSTONE, DUBOIS, and ALAM recording labels. He has twice been elected president of the International Trumpet Guild, three times its secretary, and he has served on the ITG Board of Directors. He has been a frequent contributor to the International Trumpet Guild Journal.